The holiday season is almost upon us, and soon enough everyone will be shopping – or preparing to – for gifts, presents and goodies! That means all the latest gadgets, devices, electronics, games and toys will be hot news, and more difficult to find. Instead of waiting until last minute, we decided it’s a great idea to share the top holiday smartwatch gifts before the rush. This way if you’re ready, you can begin hunting down those ideal gadget-lovers gifts before all the fuss starts. The Apple Watch won’t be available until next year, so unfortunately for all those Apple device lovers out there you’ll have to hold off, at least when it comes to smartwatches. There aren’t very many devices available that work for Android as well as iOS handsets, but there are still some. If you’re interested we’ll note which ones are compatible in the list below. That said, we still definitely recommend holding off until the Apple Watch launches in 2015. For Android lovers on the other hand, we have quite the selection. You can thank Google and the launch of their Android Wear wearable OS earlier this year for that. 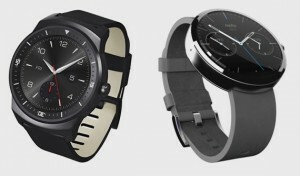 We’re not going to bother outlinine the entire Android Wear lineup, however. We’re only going to pick out a couple of the best. Same goes for the other categories. Both devices include a round touchscreen display, although the LG G Watch R uses the entire display – the Moto 360 has an unusable sliver on the bottom – and has better overall battery life. Why are we including both of these models together? They are powered by Android Wear which means they are incredibly similar in terms of software limitations. There are some notable differences between the two, most of which we’ll get to in a little bit. The biggest difference is that the LG G Watch R mimics the look and feel of a traditional analog wrist watch. The Moto 360 on the other hand is stylish, and looks much more modern. Then again, personal preference is going to influence which you think looks better. The Moto 360 is powered by a TI OMAP 3 processor running on 512 RAM, with 4GB of internal storage. The LG G Watch R is powered by a Snapdragon 400 processor running at 1.2 GHz. You’ll notice that both devices have the same amount of RAM and internal storage capacity. In addition, both are compatible with Android 4.3+ handsets, both are dust and water-resistant, or IP67 certified. As for the prices, the LG G Watch R retails for about $328 while the Moto 360 is significantly cheaper at $260. If you know a gadget lover – or are one yourself – that wants a standalone device that works without a paired smartphone, these two options are going to be your best bet. The Samsung Gear S is powered by a dual core 1.0 GHz processor, 512MB of RAM and includes 4GB of internal storage. The display is a 2.0″ curved Super AMOLED running at a resolution of 360 x 480. The Neptune Pine features a much larger 2.4″ TFT capacitive landscape oriented display operating at a resolution of 320×240 QVGA. 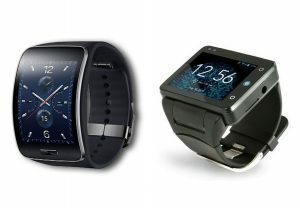 Of course, the biggest difference between the two devices – besides their appearance and design – is that the Gear S is powered by Tizen and the Neptune Pine is running a full custom-skinned version of Android. It should be noted that the Pine is not powered by Android Wear, but instead the real Android 4.1 Jelly Bean OS – the same that’s running on modern smartphones. Regardless, they both accept SIM cards and work with mobile wireless networks. In short, that means you can place calls, answer emails and texts and browse the internet directly from the wearable device – no paired handset is needed. For that kind of functionality you’re going to pay a higher premium, but for many it’s worth it. The Neptune Pine retails for $349 and begins shipping in November. The Gear S is also set to launch in November, but it will set you back about $450. If the device is specifically for your child to use – meaning they’re the ones that are going to play and tinker with it – then the VTech Kidizoom is your best bet. It’s available for $59 and includes a whole slew of unique features that your children will love. 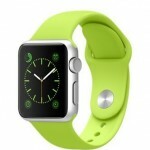 It features a 1.4-inch color touchscreen display, with up to twenty different watchfaces for kids to swap out. In addition, it includes a camera with video recording support, a voice recorder, and three educational games. A USB port allows parents and child to transfer photos and videos to a computer. The primary audience for the Kidizoom is children ages 6 to 12. 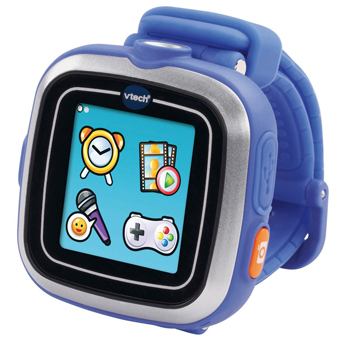 The reason we mentioned the watch being used by your child is because there are also tracking devices of sorts that you can offer your munchkin. 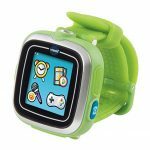 These types of watches are worn by your child and they allow you to see where they are or what they’re doing remotely and in some cases they even allows you to communicate with them. If you’re looking for a wearable like this, then your best bet is the FiLIP smartwatch. There are other options, but they won’t be available in time for the holiday season unfortunately. The FiLIP is a wearable phone and “smart locator” for kids. You can call the them directly by dialing the device, or you can pinpoint their location using GPS. Unique to the FiLIP is the option to send text messages to the watch, although texting is only a one-way feature. 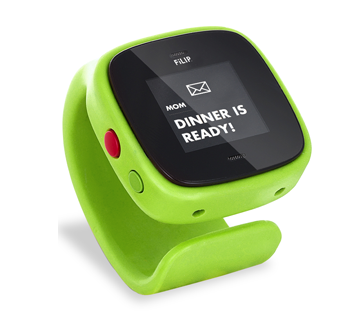 Kids can call pre-programmed contacts using the watch, as well. 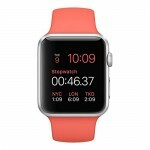 A companion app is available for iPhone and Android handsets, which are paired to the watch similar to other smartwatches. Once installed and paired, parents have “one-touch” access to every feature they need. The watch is available in several colors, and has been manufactured with a dust and water resistant body, so you don’t have to worry about your kids ruining it. 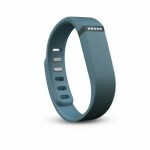 The FiLIP is available now for $199.99, and the mobile service is through AT&T. In terms of cost, feature-ratio and overall support the Pebble smartwatches are the absolutely best available. The Pebble Steel has been updated to include a metallic design that is much more stylish than the original chintzy plastic model. 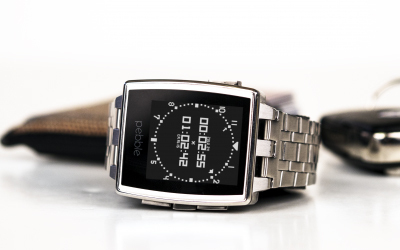 If you’re interested in seeing what the Pebble can do, check out our review of the Pebble Steel. 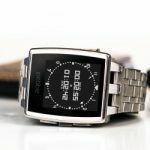 It’s worth noting that Pebble recently slashed their prices to compete with Android Wear and the flood of other smartwatches hitting the market. The original model is $99 with the Steel now retailing for $199. As you can see, that price is much easier on the wallet than some of the other devices hitting the market – especially those standalone watches. 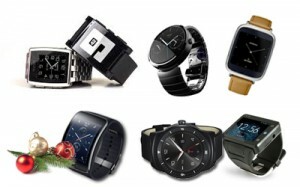 What do you think of our smartwatch buyer’s guide list? Are there any devices missing that you think would made excellent gifts this holiday season? Are there any watches on the way that will be available just in time? Feel free to share!